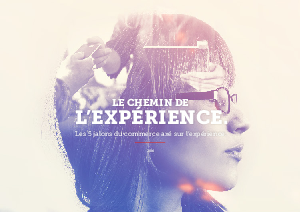 > Adobe > LE CHEMIN DE L’EXPÉRIENCE. There is no more business as usual. The world’s biggest taxi company owns exactly zero taxis. The largest hotelier owns zero rooms in zero hotels. The hottest name in designer fashion sells no clothing. Some of today’s hottest start-ups are taking on mature markets like beauty and grooming with zero product innovations by simply changing the way people shop. Uber, Airbnb, Rent the Runway, Birchbox and the Dollar Shave Club all have one thing in common. They don’t sell products — they sell experiences.